Everyone knows a band like Hercules Morse, the sort of band with such a notable local following that they’ll become the lucky recipients of a bit of national press, only to find themselves all but abandoned when they seem critically unseasoned compared to other acts. It’s a sad fact, and while it’s another strike on how fickle the rock media has become, it’s equally an indictment on the echo chamber nature of the local scene, where any sort of criticism might be demonised on the grounds of it being towards friends. And of course, this does circle back to Hercules Morse, whose last EP Equine Size Comparison had something of a buzz around it and even some acclaim, but when compared to bands who are far more versed in doing this kind of post-grunge and hard rock, it’s not hard to see how they falter. Vita Boundary is most certainly not the work of a band ready to take on the big, wide world by themselves, and for the numerous moments of inspiration that Hercules Morse show, there’s not a whole lot that can be taken away from what they’re doing here. It’s definitely the clear sign of an early release, and to Hercules Morse’s credit, they’re at least peppering their debut full-length with steps towards a sound of their own. Theirs is a hazier, less bracing take on classic rock, and coupled with a more subdued, nasal vocal performance from Steve George that can be reminiscent of Damon Albarn in a good way, the likes of Resigned and Still Singing definitely have a more unique energy when compared to other members of the revival-rock crowd. That alone is a good start; it gets Hercules Morse on some strong footing and opens paths for them that will continue to further an identifiable personality. Unfortunately that’s where most of the praise for this album ends, as too often Vita Boundary’s positives become overshadowed by shortcomings the come with their naivety. For one, the production here leaves a lot to be desired, with a muddy mix that drowns out a track like The Story Goes in overweight, sludgy bass and guitar tones and thinning out George’s vocals to further dampen effect of the harmonies that can be done pretty well here. Writing-wise, there’s not a whole lot to say either; often, it’s fine enough but riddled with basic, obvious imagery like on Clockwork that rarely instigates much of a response. Occasionally though, there’ll be tracks like Everything Is Great or Cuckoo, with the tart, unconvincing ‘levity’ of a band like T.Rex that hasn’t aged well at all. When everything comes together, the logical conclusion is that Vita Boundary is an album with promise, but that gets swallowed up by all the work that clearly needs doing. There’s a seed of a good idea germinating within Hercules Morse, and it feels like more of a case of when it’ll fully bloom than if, but that won’t come just yet. There are edges that still need smoothening and ideas to be suitably propped up, and though there’s no doubt that the band will get to that sooner rather than later, it’s frustrating to see what feels like a work in progress rather than waiting for the final product to be refined. 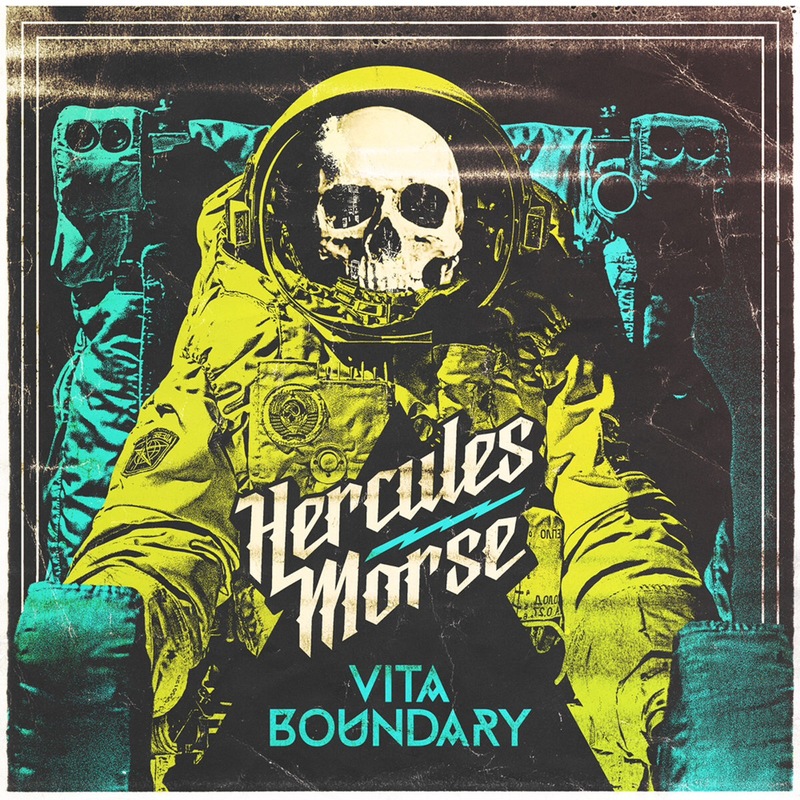 ‘Vita Boundary’ by Hercules Morse is released on 4th May.